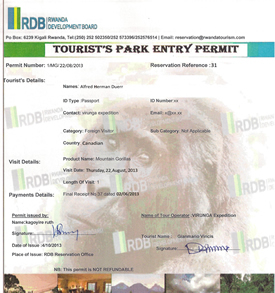 Rwanda has Double Gorilla Permits fees! 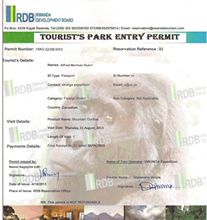 Home / gorillas / Rwanda has Double Gorilla Permits fees! 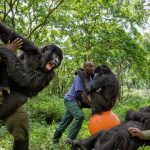 Kigali, 7th May, the Rwanda Development Board (RDB) has double the gorilla permit cost from $750 to $1500 Per person for one hour watching gorillas in the Volcanoes national park. 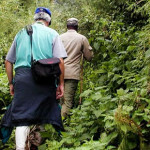 In the same statement the RDB has introduced a new exclusive offer for visitors looking at trekking the entire gorilla group for 15,000 U.S dollars with an exclusively personalized tour guide watching gorillas for 1 hour. 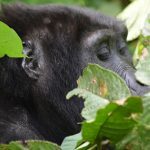 The price increase has taken effect from the date of the statement release, but will not affect those tourists who purchased their gorilla permits ahead of the new change. According to the RDB, the price increment comes in support with Rwanda’s high end tourism strategy which aims to strengthen conservation efforts and contribute to community development and improvement of livelihood of locales living in communities living around national parks. In the new release, with gorilla permit price going up, the communal revenue sharing rate has also gone up from previous 5% to 10% which is a very good income for the communities. 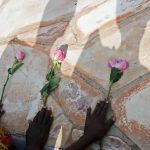 Communities surrounding the volcanoes national park have seen substantial funding in community projects like building schools, hospitals, local business development, clean water and sanitation which are directly benefiting and improving condition of living. 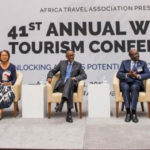 According to RDB chief executive officer; Clare Akamanzi, RDB is aiming at providing a bigger share if tourism revenue to boost local development and empower communities economically. 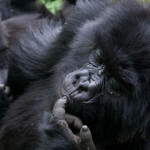 Currently the number of mountain gorillas is estimated to be over 950 gorilla species. Once these gorillas were very endangered at the extent of extinction, and today high conservation efforts have been put in place to monitor and protect gorillas in the jungle forest of The Virunga massif region (This region has 3 national parks of Volcanoes national park in Rwanda, Virunga National Park in Congo and Mgahinga national park in Uganda) and Bwindi impenetrable forest. 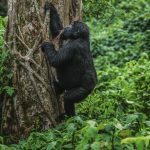 Volcanoes national park today holds 60% gorilla numbers of the Virunga Massif region and the number have been growing over years of strict conservation. 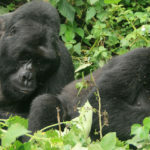 Today Volcanoes national is home to over 20 gorilla families, of which 10 have been habituated for gorilla tourism while the other 10 families are still on research and still under habituation.